ROBIN Williams' son says the late star's family are still adapting "to the new normal" following his father's death. The Hollywood actor died from asphyxia due to hanging at his home in August aged 63 and his eldest son Zak - whose mother is the 'Mrs. Doubtfire' star's first wife Valerie Velardi - admitted he and his half-siblings, Zelda, 25, and Cody, 22, are steadily adjusting to life without their dad. Speaking in public for the first time since his father's passing, he told Us Weekly: "We're doing OK. We're acclimating to the new normal. Everything is step by step. "Personally, my wife and I are focusing on doing a lot of good. She runs the San Francisco office of Human Rights Watch, and we're working with them to do good in the world." Zak and his wife are attempting to encourage youngsters to be "generous and giving and kind", like his father. He added: "Dad had almost a childlike love, and he shared that love with people, with everyone. "And that ability to love, and that ability to be generous and giving and kind is something we would want to share with future generations." His comments come after it was reported the 31 year old and his two younger half-siblings - from Robin's second marriage to Marsha Garces - reportedly inherited $50 million following the actor's suicide. Robin's will is also said to have stated his third wife, Susan Schneider, will be cared for under the terms of a prenuptial agreement they signed before their wedding in Napa Valley, California in October 2011. 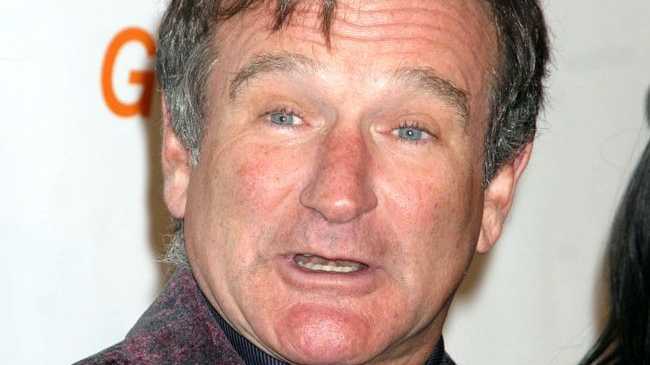 The 'Flubber' actor left instructions about how his fortune should be distributed by the Robin Williams Trust, which is now being run by a trustee, in the official document, dated January, 31, 2011.